X50, Digital Synth from Korg. 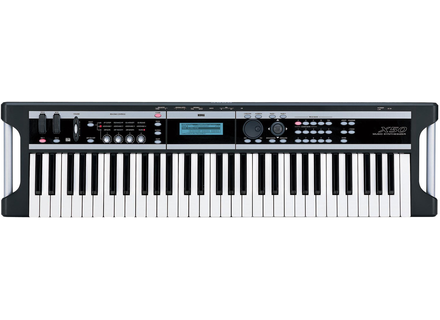 I have used the Korg X50 many times over the last few years. This board is built very well and is made to take on the road without any issues. There are over 500 programs in it and the arps are very good! Learning to use it and setting it up does not take long but there is a small learning curve if you are use to working with some of Korgs other machines. This one has a little separate process when it comes to choosing and editing sounds. The effects are very easy to add and change, they are also very good and there are a lot of them to choose from. There are a total of 384 combination that can be used on this board and some of them are really good layers. The sounds mixed in with some of the effects can give you a whole new sounds, I didn’t expect to get some of the unique sounds that I was getting with the X50 with it being this cheap. All of the sounds are very good and I recommend trying them out before you make a purchase. These sounds are not for everyone and some people don’t even like this synth at all. I feel like it is a very good synth and in this price range it is a must have. Some of the sounds are not "realistic" at all though. It is very easy to work with this board in your DAW and with other synths. It has 1 Audio output and no audio inputs. There are a total of 89 effects which is a huge effects section. The pitch bend and mod wheel seem to be made well as long as all 61 semi weighted keys. There really aren’t any bad things to say about this keyboard, it sounds great and has a huge effects section. It is just one of those keyboards that the user will need to try out first because a lot of the sounds may not be appealing to some musicians. 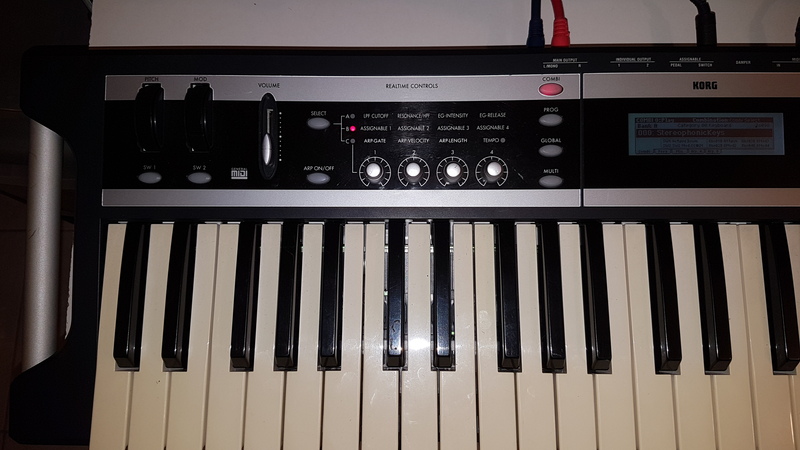 JimboSpins's review"creativity at its finest"
This 61 key synth is very small light and portable, it will fit on your desktop or workstation with room to spare. The keys are touch sensitive and fast. 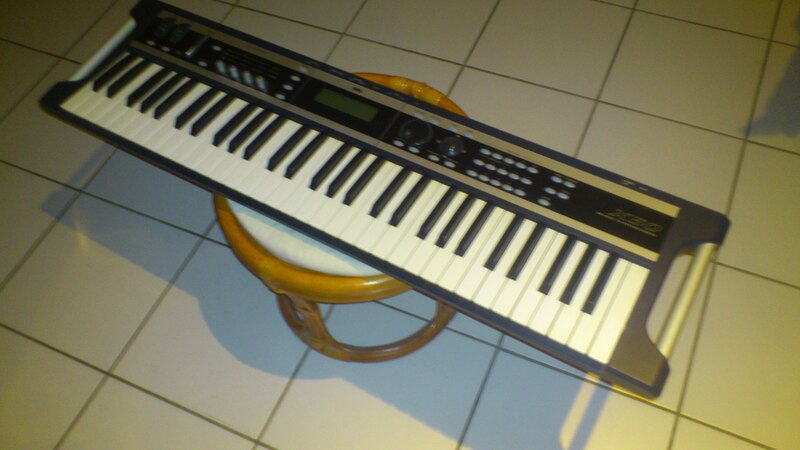 You can really work your melodies with this synth because the keys are light and fluid like. 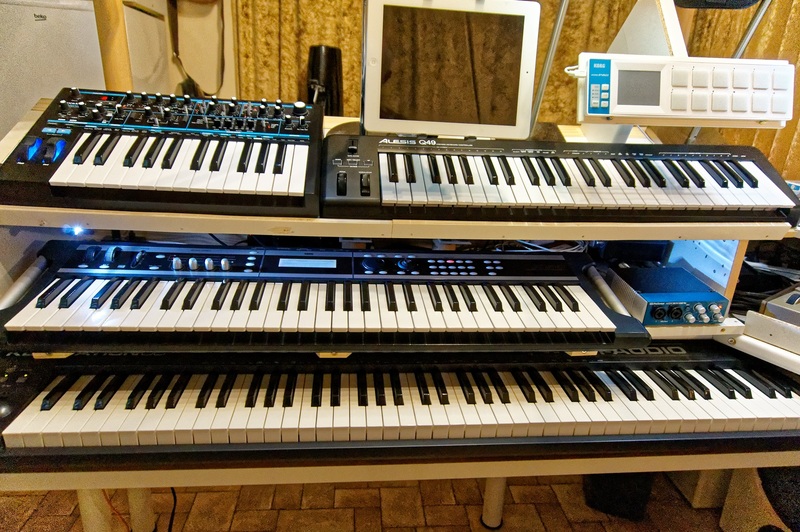 Most of the sounds for the Korg X50 come right from the Triton sound engine. Not saying that you should get this over a Triton by any means. But if you like the Triton sounds, then you will love how you will get some of those same sounds in this smaller and more portable synth. Using this keyboard is simple because of the interface. Everything that you might want to do or need to do can pretty much be done form the push of one button. Even working with the effects, they are very easy to add and manipulate right from the main interface of the keyboard. All of the effects are great on this keyboard. The reverbs and chorus are awesome; they will really spark your creativity. You can also use the dual arpeggiator on the X50, and you will also have full control over which direction it moves and the gate and timing of it. The X50 does come with editing software that you can use a plug in, it will connect to your computer via USB and you can use the X50 as a plug in with any DAW you prefer. This synth is affordable, portable and user friends. It comes loaded with high quality fat sounds that you can use as is without having to add anything to them; if you are not a fan of tweaking sounds and presets. I love to tweak sounds just as long as it does not get overwhelming and time consumer because I feel like it interferes with my creative when I have to stop my workflow to completely make a new sound. This keyboard synth will boost your creativity without breaking your budget. The installation went without any problem. The edition sounds a bit laborious at first glance, but we made it! The manual is very comprehensive and Business detail each function with precision. The sounds are dments for this price range. They are hot, many and varied. Excellent transcript of the vlocit and a really pleasant to touch. I find it hard to understand the lack of public enthusiasm screw screw this keyboard. Today may have to find the new price of a MicroKorg XL, and frankly, it is infinitely x50 better than its little brother. Having a large bank pros sounds and a good keyboard master for that price, it's really a good deal. I'd pay 800 at the time, and I was already fantastic qualitprix report. An excellent first synth in all! 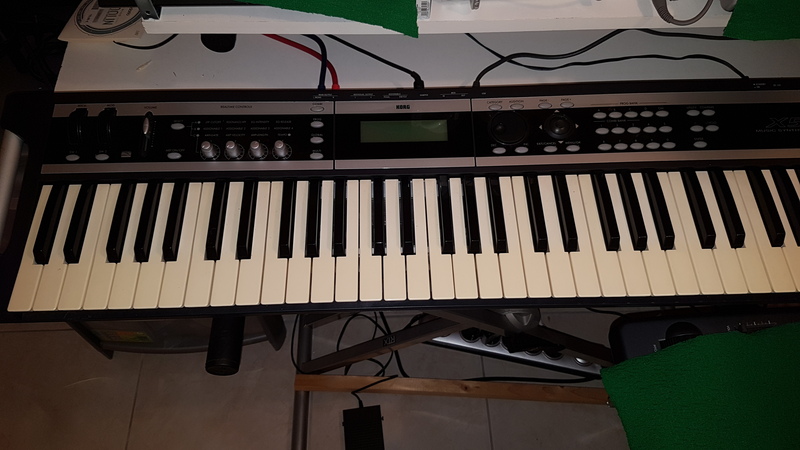 Typha's review (This content has been automatically translated from French)" Hidden Treasures"
Lightweight keyboard in any sense of the term but ultimately strong. I put the pads underneath so it does not move on the stand. I have a TR76, it is much less platoc but hey what fun for transport. direct access bank No. and small favorites (10). And above all he has what MULTI mode which allows to attack with a second master keyboard. I even made a MULTI or is master keyboard to a VST (NI B4 or VB3) and is attacked by my master keyboard (which is actually a good old ROLAND D70 or I can change the MIDI channels of volumes 4 faders). Super config and I put less than 5 seconds to switch the sound between songs!